Starting a business from scratch in any industry in any country is difficult. Starting a business in which you have had no prior experience, in a country where you have never worked and whose language you cannot understand is almost beyond comprehension. 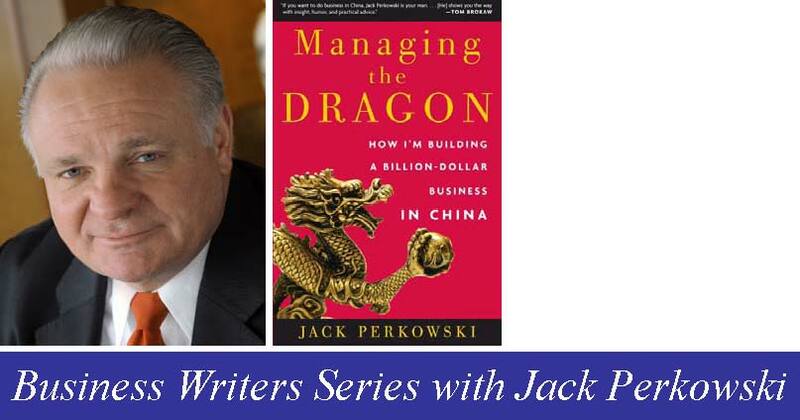 Jack Perkowski, Yale Class of 1970, pioneer in the Chinese private equity market and author of the new book, Managing the Dragon: How I'm Building a Billion Dollar Business in China, did exactly this in China in 1994, building ASIMCO Technologies into a $500 million components company with 17 plants in China and offices in the US, UK and Japan. Jack will provide his unique insights into the ways in which China's different, and lower, cost perspective is affecting its cost structure, the development of its markets and technological innovation, and how these factors will have a profound impact on the way all industries operate around the globe. Jack has lived in Beijing for 15 years and is Chairman and CEO of ASIMCO, an important player in China's auto industry. Under his leadership ASIMCO has gained a reputation for developing local management, and integrating a broad based China operation into the global economy. Jack was also featured in Thomas Friedman's book, The World Is Flat. This event is co-sponsored by YAAMNY and the Association of Asian American Yale Alumni. Yalies get a discount ticket price (equalled to the $15 member price). Mention discount code "AYA1006" at the ticket office. Please note, this discount is for Yalies only.